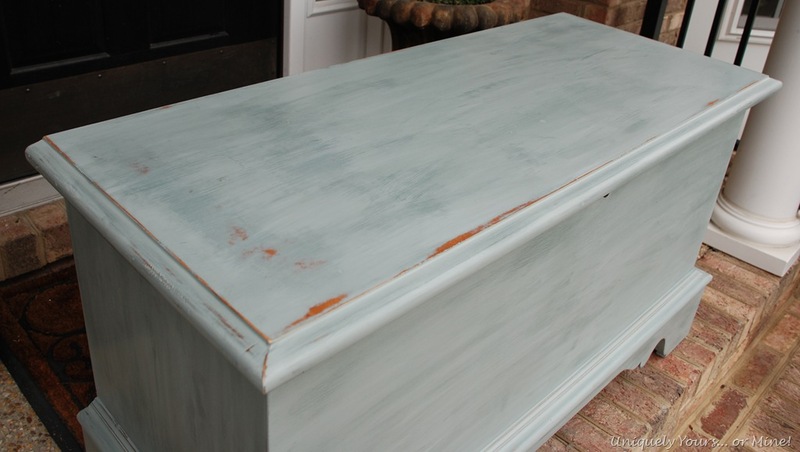 Renewed Cedar Chest – Uniquely Yours… or Mine! Sorry about the not so perfect BEFORE shot… I was antsy to get sanding! My client knew exactly what color she wanted… CeCe Caldwell’s Smoky Mountain… which is very pretty blue-grey color! 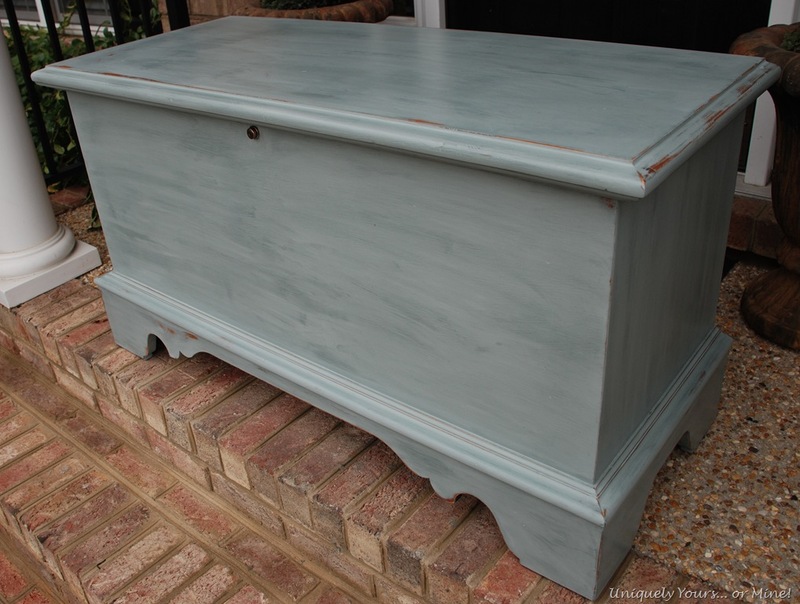 After lightly sanding down the decorative painting on the front, I cleaned it really good with Formula 409 and then painted it with two coats of the Smoky Mountain clay & chalk paint. 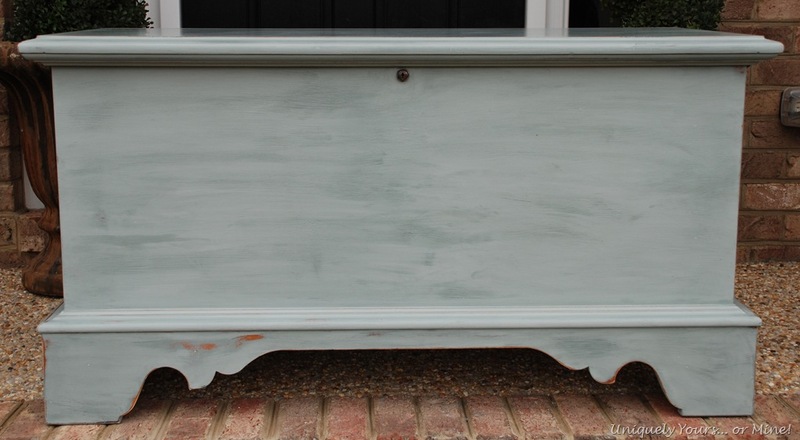 After the paint dried I lightly distressed it and applied a coat of Annie Sloan clear wax to seal the paint. The variations in the finish were really accentuated once the wax was applied… it has a great multi dimensional feel! I let the wax sit for about 24 hours then buffed it with 0000 steel wool and then a final buff with a soft cloth… check out the sheen! This is such a super fast and easy project to do to help update some of those outdated pieces you may have stored away… I would totally buy this now and put it at the foot of my bed for extra blanket and pillow storage, it’s just perfect! Looks great, love the color. Absolutely great! The color is wonderful. This looks great! Have you ever painted a piece using chalk spray paint? I feel it may go on smoother than painting with a brush. 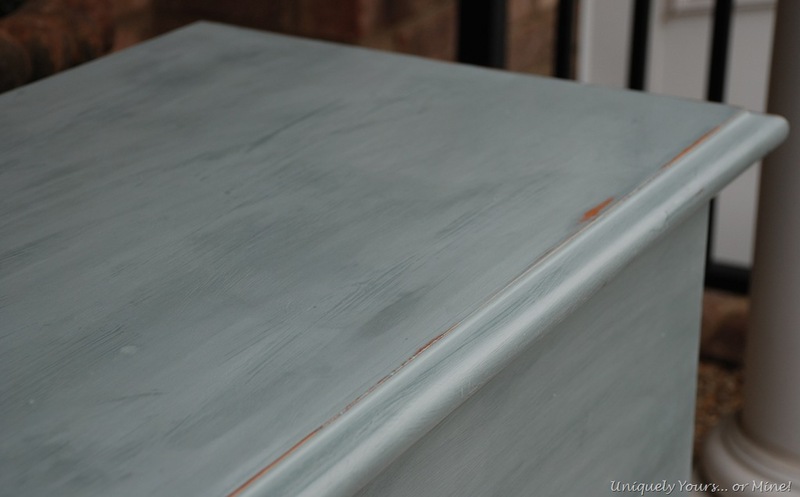 I haven’t tried to spray chalk paint but usually there is quite a bit of paint loss when you spray, which is why I think most people don’t do it, but I may try it one day! Thanks so much for stopping by! 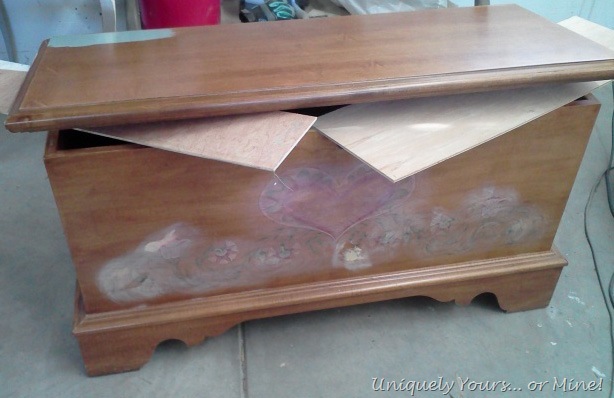 I Susan, I live in Washington State and I have the exact same Lane hope chest.. How do I sell something like this fast.. I have no need for it anymore.. 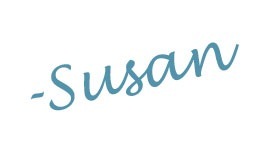 I sold mine on Craig’s List, but consignment stores are also great options! Beautiful job! What technique did you use to distress the paint?